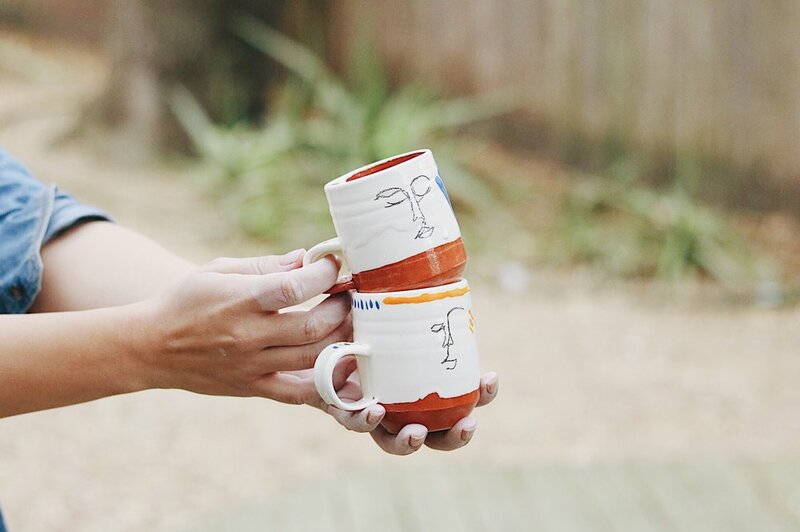 is the designer behind the wheel of She Ceramics. When not teaching art at a local public school, Hallie spends her time packing as much life as possible into basic everyday objects. She works the surfaces of her pieces over several times, combining painting, underglaze pencil drawings, screen printing, and gold luster to evoke a sense of immediacy from an otherwise slow and methodical process. Hallie's designs are never planned- each pot becomes a page in a three dimensional living sketchbook, and each pot has its own perfect imperfections that tell the story of its creation. Made with love and a sense of humor in Austin, TX.